With Super Bowl 50 right around the corner, I thought, what better way to celebrate than talking about the four teams who have never made it there? Well, here it is, my breakdown of these Super Bowl appearance-less franchises. Let me start out by saying I'm a die-hard Cleveland Browns fan. Every Sunday during football season, I'm glued to the TV or radio, intently watching and listening (and yelling) as my Brownies inevitably let me down. 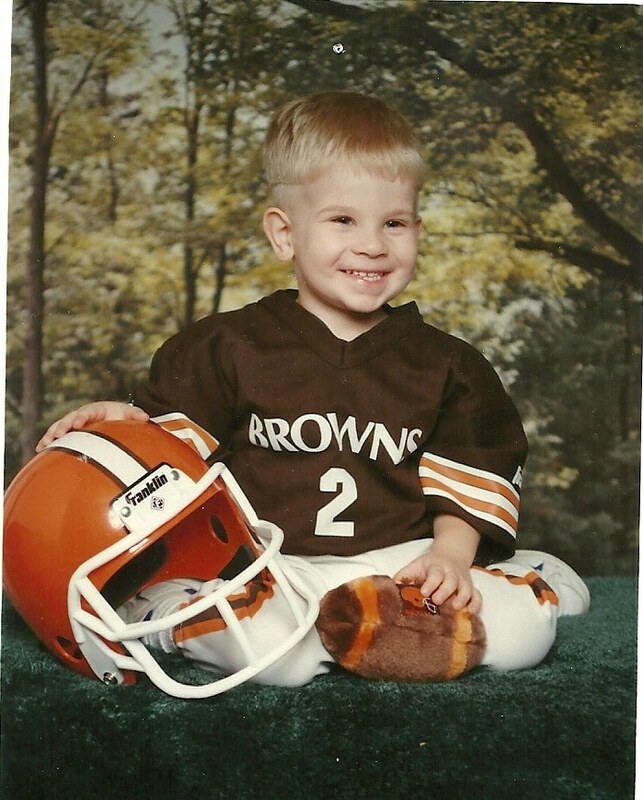 Above is a picture of me back in my not-so-super bowl cut years, sporting the whole Browns get-up. Week after week, year after year, it doesn't matter who the coach or the quarterback(s) is, the Browns will still lose. I have come to terms with this. The Browns are horrible, but I wanted to write about a few of the most horrible moments in Cleveland Browns history. None of which include a Super Bowl appearance. The Cleveland Browns joined the NFL in 1950 and won the NFL Championship in that same year. The Browns won a total of four NFL Championships through the 50's and 60's. Ah, the glory days. This is the peak of the Browns' success, as they haven't made it to a Championship or a Super Bowl since. Fast forward to the 80's in which two of the Browns' most famous losses occurred: "the drive" and "the fumble." Both were in the AFC Championship game and both against the Denver Broncos (curse you, John Elway). The worst part? These heartbreak losses happened in back-to-back seasons in 1987 and 1988 *cue Drake's "Back to Back"* I wasn't even alive for these games, but I still cringe when I see the highlights. Since 1999, when the Browns were re-established as an expansion team, they had an overall record of 87-185, just a tad under .500. The Browns' last playoff appearance was in 2002, which ended in a loss to Pittsburgh in the Wild Card. Man, do I strongly dislike the Steelers. The Browns' last winning season was in 2007. WHY AM I STILL A FAN? I don't know. Since '99, the Browns have had a record-setting 24 starting quarterbacks. Cleveland: where quarterbacks go to die. After a 3-13 season this year, a head coaching change and going into the offseason with no idea who the starting QB will be next season, there's only one thing to say: There's always next year. The Browns and Lions can sympathize with each other, as both are historically bad NFL teams. The Lions joined the NFL in 1930 and won four NFL Championships, the last one coming in 1957. 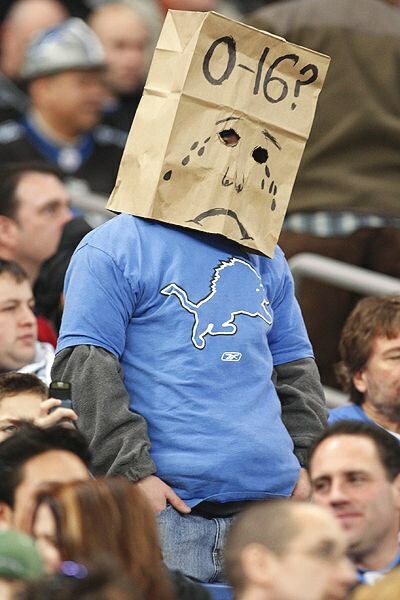 The Lions are approaching a 60-year championship drought, though. Now that's rough. The 1990's gave hope to Detroit as the Lions made the playoffs five times in the decade. Hall of Fame running back Barry Sanders was mainly responsible for Detroit's success in this era, and is arguably the best player to suit up for the Lions. However, Sanders was still unable to lead the Lions to a Super Bowl. After Sanders retired, things only got worse for the Lions. Detroit went 0-16 in the 2008 regular season, but hey, they were 4-0 in the preseason. That's something to cheer about, right? Half of the dedicated fans in attendance that year wore paper bags over their heads. Classic. However, in recent years, the Lions haven't been all that bad. The Lions have made it to the playoffs in 2011 and 2014, and have the franchise's leading passer, Matthew Stafford, still on the roster. The franchise's leading receiver, Calvin Johnson, just announced his retirement on Sunday. That will be a big spot for the Lions to fill next season. Keep your head up, Detroit, at least, you've hosted a couple Super Bowls. The Jaguars are still a relatively new team in the NFL. They joined in 1995, the same year as this year's Super Bowl contender, the Carolina Panthers. The Jaguars haven't had quite the success as the Panthers, though. Early on, Jacksonville was actually pretty decent with Tom Coughlin as head coach. The Jags made the playoffs for four consecutive years through 1996 to 1999. In 1999, the Jaguars finished the regular season 14-2 but lost to the Titans in the AFC Championship. Since '99, Jacksonville has only made the playoffs twice, in 2005 and 2007. The Jaguars have been average at best since their last playoff appearance. In 2012, the Jags finished 2-14 and still didn't get the first pick in the draft the following season. Ouch. Jacksonville concluded this season with a record of 5-11. 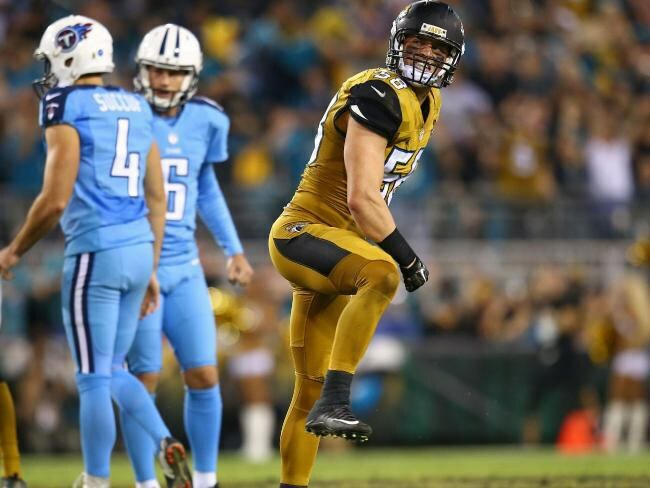 I blame the recent struggles on the godawful uniforms Jacksonville wears. They look like French's mustard bottles. Jacksonville is a nice city with a beach, so at least they have that going for them. I saved the best for last, literally, as the Texans haven't been all that bad. The city's former team, the Oilers, never reached the Super Bowl, either. The Oilers were in the NFL for 26 years (1970-1996). This means the city of Houston has been Super Bowl-less for 45 years. The Texans joined the NFL in 2002 and is still the baby of the League. The Texans had only one winning season in their first nine seasons in the NFL, but have been a serious contender since 2011. The Texans have gone on to the playoffs three times in 2011, 2012, and this year, 2015. This year's Wildcard game against the Kansas City Chiefs didn't go too well for Houston, though. The Chiefs shut out the Texans 30-0 in which Brian Hoyer threw four interceptions. Hoyer is a former Browns QB, so I'd expect nothing less. In all seriousness, the Texans' future is the brightest of these four teams. J.J. Watt is the best defensive player in the league, and DeAndre Hopkins can put up big numbers as a receiver. A quarterback is the only piece missing for this Texans team to be a Super Bowl contender.